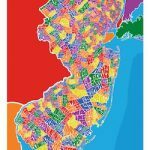 NJ.com’s list gets ever bigger. Date passed: Nov. 6, 2018. Bridgeton voters opposed allowing marijuana businesses from operating in their town. While the vote is non-binding, it gives town officials an idea of what the people want. Date passed: Oct. 23, 2018. According to town minutes, Lumberton banned pot shops but would allow cultivators as a conditional use in industrial areas. Date passed: March 20, 2018. Parsippany’s resolution doesn’t outright ban marijuana businesses from the borough but strongly opposes marijuana legalization. Date passed: Oct. 3, 2017. Shrewsbury’s ordinance bans medical marijuana facilities. The town has yet to take a stance on recreational marijuana. Date passed: Feb. 21, 2018. Like Parsippany, Spotswood’s resolution doesn’t outright ban marijuana businesses from the borough but strongly opposes marijuana legalization. Date passed: June 7, 2018. The Upper Saddle River resolution is like a few other towns on this list in that it opposes legalization but doesn’t outright ban sales.